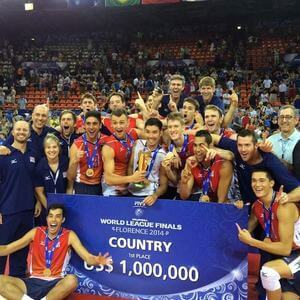 Chris McGown: Welcome to The Volleyball Life Podcast. We’re back today with Travis Hudson, he’s the head coach at Western Kentucky University, and you’re going to love listening to him. He’s got a great Kentucky accent, for one thing, and he’s just this marvelously inspirational guy. He says a lot of, I think, really profound things in terms of the coaching profession and the way he approaches it. It’s fun to get to listen to kind of his story of getting started and the 25 plus years he’s spent at Western Kentucky, and the success they’ve had. They lost in the 2nd round at the NCAA tournament to the 4 seed Kentucky this year, we’ll talk a little bit about that match. We’ll talk a little bit about his history, and just fill in some of those blanks with kind of little bits of wisdom that he’s got. It’s been really good, I think you’ll love this program. Thanks for joining us and enjoy the show. Well, we’re here with Travis Hudson on The Volleyball Life podcast. He’s the head coach at Western Kentucky University. Travis, thanks so much for taking a minute out of your day. Travis Hudson: Good to be with you. Chris McGown: Yeah. We were just talking, and you guys just now, we’re almost to the end of January, just started school. And so, you’re scrambling right now, huh? Travis Hudson: Yeah, it’s been a, been a pretty hectic week. Our university through in what they call a J term, which is a January term. It’s a little, almost like a little summer school session in January, and so we’re just getting back and it’s a pretty hectic week getting our players, uh, in their classes and get organized for individual work, and get them in the weight room and work off some of those Christmas cookies. Chris McGown: Yeah, that was always, a tough deal for us when I was with the guys is we’d have this great training session that went up to about January, or excuse me, early December, and then we’d have to turn them loose for all of Christmas and then come back and start to play matches in early January and those 1st few weeks are always a mess, yeah. Travis Hudson: Yeah. They look a little different when they test at the beginning of the semester than they do when they left. But, uh, but I probably look a little bit different, too, so it’s fair, so. Chris McGown: Don’t we all? From Football and Basketball to Volleyball Coach? Chris McGown: That’s awesome. Well hey, I’ve been excited to talk to you for a long time and I just, I’ve been admiring the work that you’ve been doing there, and I read an article that Forbes had done and it just, you said so many things in the quotes in that article that I thought were really powerful. And, I just, I think you’ve got a great story. So, tell us a little bit about how you got into coaching. For sure it was a little bit of a back end entrance into volleyball and into coaching, huh? Travis Hudson: Yeah. There’s, my story’s probably not going to be replicated. If there’s, if there’s a young person out there that thinks they’re going to follow the path that I was on, it’d be pretty extraordinary. I was, um, I was a football, basketball guy in high school and, you know, was probably a better football player but I loved basketball. But anyway, I didn’t, didn’t make it to play either 1 at the collegiate level and I came to Western Kentucky University as a student. I come from a family that, um, didn’t have a lot. Um, I was the 1st person, actually, in my family to get a college degree and I, I came here and got 2 jobs and started putting myself through school and just really, really missed competing, I really missed competition. As I said in that story, I’d play pick up basketball, but that, those things turn into 1 trip up and down the court and stand around and argue about a foul for 5 minutes. That didn’t, that didn’t really appeal to me too much. And, I had never touched a volleyball in my life when I got here as a student, and I just happened upon a volleyball court and met these guys that were playing. I started throwing myself in there as their punching bag, really. They were, uh, they were pretty good players and I jumped in and, uh, and got my brains beat out every day. Long story short, I just continued to come back and play and come back and play and turned into a decent player and met Jeff Hulsmeyer, who was the head coach here at the time, he’s now the associate head coach at Florida State. And Jeff asked me if I would be willing to come in the gym, he didn’t have an assistant at the time and, you know, he knew I was a student here and asked if I would be willing to come in the gym and help him out. And, you know, I was a glorified manager, really. I was tossing balls and shagging balls and doing all those things. And ultimately turned it into a coaching career, to keep it as brief as I can, so. Chris McGown: So, right place at the right time, for sure. But, early on, they must have seen something in you that they liked, I think, huh? Great Coaches Can Learn Any Sport. The Key is Being Yourself. Travis Hudson: Yeah. It was, you know, I always felt like coaching was in my blood. It was something I would do, I just assumed it would be in football, or basketball, or but, you know, what I learned as I kind of grew into all this is in my eyes a great coach could learn to coach any sport given the time to learn the X’s and O’s. I don’t think, I don’t think that any of us are, you know, necessarily breaking new ground in the game over and over and that’s why we’re winning games. So, you know, I believe somebody that can coach can learn to coach any sport given the time. You know, you hear stories all the time. I mean, you hear John Dunning, John Dunning’s story where he was a, what, a high school teacher. Travis Hudson: And uh, you know, John Cook was doing, I mean, there’s so many situations. And so, I believe that the Mike Krzyzewski’s of the world, and the Bill Belichick’s of the world, those people can learn to coach any sport given the time to learn it because it’s about, it’s about, it’s about motivation, and it’s about teaching, and it’s about communicating, and it’s about trust. You know, if you do all those things at a high level, I think the rest of it starts falling in place. And I guess those were, you know, some things that were, were things that I, I guess, was gifted at a little bit early on and Jeff recognized it and helped me get my start. Chris McGown: So, you know, I kind of want to have this, get to that, but let’s kind of keep going with that idea. Just, what is it about you, and I agree completely, and I think that coaching is much more about the technical aspects, or much less about the technical aspects of the particular sport that you’re dealing with, and that anybody with a decent level of competence can kind of start to figure those things out and much more about all these things you described. And so, for you, you mentioned some of them, the communication, the relationships, the trust, what, how much of that is just in you and how much of it is stuff that you’ve worked at, and what has become for you, like this is where I’m really, really adding value as a coach, and to our program, and contributing to the success of the team? Travis Hudson: Yeah. You know, I think, look, if I had to peel it all down to 1, I think it’s trust. I think that, and I think the trust comes from being genuine. I think that’s the biggest, that was the thing when I was a young coach, I made mistakes, we all do when we’re young coaches, but I’ll never forget when I 1st got into coaching, you know, I’m a pretty passionate person, and I’m a pretty driven person, and I’m a competitive person, and an emotional person, and I talk a lot, and I do all these things. But, 1 of the 1st coaches that I was really exposed to, just because of location, was when Don Harden was the coach at the University of Louisville and I used to go up and work camps for Don and all that, and he and I became really good friends. But, Don, if you know him, he went on to coach at Illinois, so Don is a really calm, laid back, you know, demeanor on the bench kind of guy, and so when I started coaching I thought okay, that’s what you have to do. And, I fell on my face early on as a coach because, you know, our players were around me every day and they saw that I had this energy and competitiveness and drive and all these things, and then we’d get to match day and I was trying to be super cool guy over there and not really showing much emotion and doing all those things, and it didn’t work, and our players didn’t respond to it. And, what I learned really early on is you have to be, and as I studied other coaches I’m always intrigued because there’s coaches that are, that are really successful that do it in every imaginable way. Travis Hudson: There’s yellers, there’s yellers and screamers. Chris McGown: Across the spectrum, right? Travis Hudson: Yeah. There’s yellers and screamers that are great coaches, there’s calm, cool, collected great coaches, there’s high energy, there’s low energy, and what I, what that made me understand is that it’s about being genuine to who you are, and if you’re genuine to your personality, kids know that, they feel that, and that’s where that trust gets built. And, if you don’t have that as a starting point, I don’t think there is moving forward in that regard, I don’t think there is moving forward. And so, that’s my 1st bit of advice to any young coach when they, when they approach me is look, you have to have standards, you have to have standards of what you do and all that, but you have to be genuine to who you are and your personality type if you’re gonna be successful. Chris McGown: And that’s, I think, for me, 1 of the big mistakes that I’ve made as a young coach, too, you know, was kind of trying to be somebody to some degree that I wasn’t, or like you say, kind of looking at a mentor, or a model, and thinking I want to be like that person but it wasn’t a good fit for my personality, that person’s model, you know. And so, I really think that’s a really important insight. And, how else, I guess, does trust kind of manifest itself with, with your interactions with your athletes? There’s this, you know, I am who I am, but I think they recognize that there’s this investment that you have in them that, you know, you can be a screamer and yeller, but if you’re invested, it changes everything. But, if you’re a screamer and a yeller and you’re not invested, then that goes downhill in a hurry, you know. But, what else, how else does it really show up for you? Travis Hudson: Yeah, well, this is another thing that I say a lot when I’m, when I’m talking to people is, I think what separates great coaches and great programs is the other 21 hours of the day. And, it kind of, it kind of leads to, you know, kind of connects to what I said before about it’s more than just X’s and O’s, but you know, I watch, everybody loves to have the tag line, everybody always talks about the program’s a family, and everybody always talks about they love their players, and everybody always talks about all those things, and that sounds great recruiting and all that, but you can’t, you can’t fool people, you can’t fool kids when they’re around all the time. And, I think the success that we’ve been able to have on the court, and the reason why I can push our players on the court and I can, you know, get in them after a match, or during a time out, or push them in practice and do all those kinds of things is because the other 21 hours. And, what I mean by that is who are you, there’s so many coaches who talk about how much they love their kids and we’re a big family and all that, and then the last ball drops at practice and they, you don’t see them again until the next day at that time. Travis Hudson: And, I think that those other hours are the ones that build that credibility and build that trust that, 1st of all, they get to see who you really are, and 2nd of all, are you taking the time to care about everything else that’s going on in their life, because, you know, it just doesn’t, that genuine part is something that you can’t, you might, you might be able to fake a kid out and recruit him, but you’re not gonna fake them out when you’re around each other the number of hours that coaches and players are around each other. Travis Hudson: And, um, and so you can’t, I always say you can’t, you can’t ask players to trust you. Like they decide whether or not they trust you. You can’t ask players to believe in you, they decide whether or not they believe in you. And, if you think you can ask for those things then you’re certainly missing the point. Chris McGown: Yeah. If you’re having to ask for it, then like you say, you’re going about it the wrong way, yeah. Travis Hudson: That’s right, yeah. Chris McGown: You, I was, of course, looking at your time there and it’s been really interesting to me. I saw the early years were pretty lean, and then you kind of got it going a little bit. You know, I drew this parallel, my Dad, when he 1st started coaching the men at BYU, the 1st 2 seasons they went 5 and 22, and then the next season, which was my freshman year there, it was 2 and 27. So, he started out his coaching career 7 and 49, or something, and he thought for sure he was gonna get fired. But, he said the thing that, he said you know, I probably would have had it some other way if I would have been able to choose, he said but those 2 years taught me so many lessons. And he said it really forced me as a coach to kind of start getting better, and to ask questions in ways that I’d never asked questions before. And he said at some point I was, I got to the point where I was willing to do anything to not go 2 and 27 ever again, you know. And so, you know, we would go around to these coaching clinics and he would say to the coaches, he would say I wish upon all of you a 2 and 27 season. And, they’re like okay, great, that’s just what I need, you know, he said but what happens is you develop this humility and you develop kind of this willingness to work in a way that you never would have otherwise. And, you know, coaches talk about that a lot, that you learn more from a loss than you do from a win, but uh, you feel like that was the case for you, some of those early tough times kind of shaped, shaped some future success? Travis Hudson: Well, I don’t think there’s any question. As you say that, like I couldn’t say it any better than what your Dad said. You know, we were 7 and 26 my 1st year here. My 2nd, we’d built, we were a little bit better, we were 18 and 17. My 3rd year we’re 9 and 22. And then, from that point on we kind of took off a little bit, but you know, I chose to do it. When people take over programs, I think it goes 1 of 2 ways, you’re either, you know, you make a lot of changes in the roster and everything really quickly, or 1 of the things I chose to do was to stay committed to the kids that were in the program. In my eyes, those were kids, our program wasn’t playing at a very high level at the time, but you know, I felt like the kids in the program, it wasn’t their fault that they were here. Travis Hudson: Someone thought that they were good enough, they brought them here, and so I committed myself to seeing it through with them. And, to be honest, that made it very difficult because some of those same, very same kids were ones that it was the toughest with because, you know, the mentality of you’re only going to play your own kids and all that, when reality is the talent level was just getting better and better. How Do You Achieve Long-Term Sustained Success In Coaching? Travis Hudson: But, I learned so many lessons through that time, and like you said, there’s a humbleness that comes with that, there’s a humility that comes with being at that point. And there’s a respect that, and this is one of the big gifts that I think came from all that, too, is there’s a respect, even now, for all coaches in all situations at all levels because I, I’ve been that coach that, you know, that was searching, I’ve been that coach that probably had a perception across the country that didn’t know what he was doing, or wasn’t good enough, or all those kinds of things, and I know that there’s some very different reality underneath that a lot of times. And I became, just like you described, I became someone who just became a junkie, and still am to this day. I’ve been the head coach here for almost 25 years and when I’m asked to go do a clinic, um, I, it always drives me nuts when I see a bunch of coaches, they do their thing and then they sit in the corner and talk the rest of the clinic. You know, I still to this day do my portion of whatever and then I am sitting with the coaches or the kids the rest of the time taking notes, and uh, because you know, there’s always something said in a different way that can make your group a little bit better, and I still love that part of it to this very day. Chris McGown: Well, I, you know, that’s, as I go around, I meet all these coaches, I think that’s one of the commonalities that I find with coaches that are, that have long term sustained success. You know, you can, you can be a flash in the pan and have some short term success if the stars kind of align now and then, but to keep it going year after year after year and have that sustained success, I think that’s one of the things I find with coaches that have that, is just they’re always trying to learn. Chris McGown: They’re always trying to get better, they don’t have a sense of all right, I’ve got this figured out, I know enough, or I know it all now at this point, and just, yeah, having that humility, having that kind of, you know, hey, I can still keep getting better is, I think, really, really an attribute to kind of strive for, so that’s good. Travis Hudson: Yeah, no question. Chris McGown: Well, you know, you guys are, you’re in a sneaky good spot over there in Bowling Green. Most people think of Bowling Green, Ohio, but you guys are Bowling Green, Kentucky, and you’re close to a lot of really good volleyball over there. And, the Midwest is putting out a lot of kids, and so it’s, it’s a neat area of the country and I think most people kind of don’t think about it. Western Kentucky, that sounds like it’s going to be the middle of nowhere, you guys are in a neat little pocket there and pulling a lot of good volleyball in that area. Travis Hudson: Yeah, we’re about an hour north of, we are exactly an hour north of Nashville, Tennessee, and about an hour south of Louisville, Kentucky right on Interstate 65. You know, you hit on a point, you know, when I took over this program, that was 1 of the things that, you know, I had a lot to learn, but 1 thing that I thought early on is why couldn’t it happen here, why not here, because when you draw a 6 hour circle around Bowling Green, Kentucky, you’re bringing into play Louisville, Kentucky, Cincinnati, Indianapolis, Chicago, Michigan, you know. There are a tremendous amount of players, and you know, when I 1st started, you really went north to make that happen, but now Tennessee, Atlanta, Georgia, you know, there’s players coming from this region of the country and, you know, we’ve got a great campus. We’ve got a beautiful place here and a really nice arena we play in, and you know, and this is my alma mater, and I think that helped a lot for me is I know what kind of education I got here, and I know what the people were like here. And so, I ask myself that question, why not here, why couldn’t we do it here? You know we started, when I started building our program, our program was built on ball control players. It was a time when there was no libero, and you just, and people, all DS’s were walk ons at that point. Travis Hudson: And I knew I couldn’t get, I knew I couldn’t get the best players at any position otherwise, and so I started scholarshipping 2 defensive players. It was unheard of at the time, but you know, all us coaches say what wins is being able to pass and play defense, you know, 1st contact, 1st contact, 1st contact, but then nobody was putting any money in it. And, I was able, you know, in the Louisville area there’s so many good ball control players that come out of there, and I went in with some scholarships and all the sudden, you know, when we were showing up on match day I was better than you at a position. And, it just so happened to be a position that was critically important to success. Chris McGown: It was touching the ball a lot, yeah. Travis Hudson: That’s right. And so, you know, I was giving these kids scholarships, and still to this day, you know, our roster is made up of tremendous ball control. We’ve been able to get better and better athletes through the years, but ball control is still the foundation, and we still probably sink more money into that piece of it than anybody in the country. Chris McGown: Yeah. Well, you guys had a really nice tournament, and man it was, it was probably pretty fun for you to come up against a really good Kentucky team in the 2nd round this year and then 15 12 is a heart breaker, but I loved, uh, what you said at the end of the match and just how proud you were of the athletes and how hard they’d fought along the way. And, having said that, I know how it is losing in those kinds of moments. Are you feeling like you’re over it yet, moving on? Travis Hudson: Yeah. You know, honestly, it was an easier, usually after the season’s over I’m in about a 2 week depression to just try to recover mentally and physically and everything before I can move on, but you know, obviously that was a difficult loss. But, you know, in the locker room our kids were just destroyed after the game but at the same time there was a sense in that locker room that everybody sitting there knew that we had poured our hearts out into that thing for each other. And, there was something good about that, and there was something, like I was able to move on a little bit easier, honestly, than I typically do because I thought we, you know, every year you start the year and you’re trying to find your potential. And, I thought we were playing better at the end of the year and we were playing more for each other at the end of the year, and we competed at the highest level. You know, we went into that tournament and, you know, we played Notre Dame in the 1st round and played exceptionally well and were able to beat them in 3. And then, you know, to play Kentucky, the 4 seed overall, or whatever they were in the tournament. Travis Hudson: And, you know, you look up and it’s 12 all in the 5th, and our All American outside is getting ready to rotate to the front row, and we, uh, we feel like we’re in a position to win and that’s really all you can ask. But our kids, you know, the other thing about that match was I know we won the 1st 2 sets and Kentucky came back and won 3, but that wasn’t a deal where there was any back down on any side. The 1st 2 sets, you know, when we were able to give it to Kentucky a little bit, their kids were competing at a high level, we were just playing very, very well, and vice versa, the rest of the match. We continued to play at a high level, Kentucky just raised their level and it was anybody’s match on that day. And, so we, as busted up as our kids were in that locker room afterwards, I think we all knew that we had poured every ounce of who we were into that thing, and shouldn’t we all be that lucky, in a way, to end our season. Chris McGown: Absolutely. And, yeah, just it was really fun watching that match and watching your kids compete. Like you said, that was, that, to me, was kind of the definition of the group and that match, they were just competing as hard as they could. And, like you say, they just, they never backed down. I just, I love that you got them to that point and what was it about that particular group that, that helped them have that belief and have that drive, and have that kind of idea that, like you say, why not us here? Was this group unique, or was it kind of common in a lot of the teams that you coach? Travis Hudson: Well, we, it was a very experienced team 1st and foremost. We had a ton of experience on that team, but I think, you know, just as everything else that happens in life, I think sometimes your greatest lessons come from failure. You know, the prior year in the tournament, we, they sent us out to Stanford in Palo Alto and we played. Chris McGown: Thanks, again, yeah. You guys, take that, yeah. Travis Hudson: Yeah, stay geographic, Palo Alto. But, we played Boise State in the 1st round out there the previous year and, you know, they had a really nice team, but we really left that one with a bad taste in our mouth because I didn’t feel like, I felt like our kids were, um, had felt like we accomplished what we wanted to accomplish to get to the tournament, and that’s not who we are, and that’s not what we, you know, were trying to be. And so, from the 1st meeting of this time of year last year, you know, we talked about, you know, trying to go somewhere that we’ve never gone as a program. And we had, we had won 1st round matches in the NCAA tournament before, you know, we had, then in the top 25 this year, the 6th year in a row we had been in the top 25 at some point in the season. But that Sweet 16 was kind of the next step for us, and so, you know, it was something that we’d talked about a lot. And so, when we got that opportunity in the NCAA tournament again, I think our kids were ready to see it differently. You know, to be honest, in that match, I think it helped a lot against Kentucky that we were playing a lot of kids that our kids had competed against and with in club programs and stuff like that. And so, you know, it wasn’t too big for them. You know, we had a nice team. We’ve got kids that can play here. That’s one of the things that I make sure and let people know, you know, since that match, is boy you guys really played with Kentucky, we have kids that can play the game, too, and that was 1 of the things in the, in the post game that I talked about is, you know, those letters across the chest don’t always tell the whole story. We’ve got a lot of kids in our locker room that were being recruited at the SCC level and the Big 10 level and all that and chose to come here and be a part of this experience. And so, we felt like we belonged, and I think we proved that we could play. You know, we just came up a couple points short and that’s what that tournament’s for, to see who belongs and who, who needs to advance, and certainly Kentucky made the plays to do that. On To The Next? Or More Of The Same? Kind of the tenor of the article was about how you’ve had opportunities to leave WKU to go somewhere else, maybe a bigger program for a bigger paycheck, and you’ve stuck around because that isn’t what drives you as a coach, a bigger paycheck and maybe a bigger spotlight. And, I just, I loved that idea and I just, I loved that that’s who you were. Has this, has it developed that way, have you kind of had that feeling a long time, and just when those decisions have come up, what kind of drives it? I think just so many of us would like to, to really feel fulfilled and just in our place in what we’re doing, in the here and the now and not be looking to the next thing. And, how’s that possible for you? Travis Hudson: Yeah. Well, you know I, I’ve always laughed and said this, but I’ve always said I don’t think I belong in this profession because the things, the things that make me tick don’t necessarily, like when I’m talking to other coaches, they don’t always match up, the things that drive me. Look, there’s a lot of coaches that have gone up the chain and coached at different levels, and coached at different places and I get it, like I get the challenge, and yes, that, every year when I go the Final Four it yanks at me, every year when I go to the Final Four, because the 1 thing that I don’t think we’re ever going to see here at Western Kentucky is a national championship. You know, I think we can be a consistent, we’ve proven we can be a consistent NCAA player and we can play for Sweet Sixteen’s and continue to push the envelope, but you know, and when I go to the Final Four, that pulls at me when I’m there because any competitor wants to compete at the highest level. And so, I do spend time, if I’m being honest, I do spend time wondering what if, what if I put myself in that situation, can I win the big one, can I win the big trophy? But, to be honest, that pales in comparison to the things I do feel like I have, you know. I told you, I think I had mentioned early on, Western Kentucky’s my alma mater, this is where I went to school. And, I met my wife here at Western Kentucky. My family, my brothers, my parents, are still with us, are within about a 2 hour range, my wife’s family’s within about a 2 hour range, and you know, my hero in my life was my grandfather, he was a World War II veteran, and he recently, just in the last couple years, passed from Alzheimer’s, and to be able to spend that time around my family and watch my boys grow up around their families, and to be able to spend time with him as his time grew short, like those, there’s no amount of money that could have given me that back, and that’s not lost on me. And, you know, so I mean yes, I get those phone calls and I understand why people make those decisions, but the reasons, this is all still a dream for me after 25 years. Again, I’m the kid who had never touched a volleyball when they came out of high school. And, when I took over the head coaching job, are you ready for this, this one’s a big ego boost right here. You ready for this? When I became the head volleyball coach at Western Kentucky I made $19,000 a year. Chris McGown: You were probably feeling like that was all the money in the world back then, too, huh? Travis Hudson: I couldn’t, I couldn’t believe they were going to pay me to do this because back for 3 or 4 years prior to that I did it for nothing. And, all the sudden I’m getting a paycheck to do this, and I felt like the luckiest guy in the world. And to now make a good, you know, a good living and a good salary here, and to be able to have done this for 25 years at a place that I love, surrounded by the people that I love, and for the reason’s that I love, because as I said, you know, in that post game, look, again, 1 of the things young that I learned when I was in, doing camps, I wasn’t married yet and I’d go around and do camps all over the country, and I did them at all kinds of different schools, Division II schools, high level Division I schools, and as I would get to know everybody’s players, what I realized is they’re all just 18 year old kids, and they all were trying to be teachers, or accountants, or whatever it is they’re trying to do with their life. And they have boyfriend problems, and they have doubts about their own ability, and who they want to be, and all that, and I don’t think you have to be at a certain place to be able to help those kids navigate those things and that’s the reason why I love what I do. It’s not about wins and losses and trophies and all that, those are a by product of the reasons why I really love to do this. Chris McGown: Well, it’s just, I just, I have so much respect for what you’ve done and for how you’ve done it and where you’ve done it. Just, I really, I really think that being able to get to a point where there’s that feeling, the feeling of being blessed to be where you are rather than kind of feeling disappointed about not being somewhere else, I just thought that was a magical quote and a magical idea and I’m just really happy for you and for the program, and just for the people that come kind of in your circle, that they get to be part of what you’ve got and part of that influence, so. Travis Hudson: Well, thank you. I’ve watched, you know, I’ve watched a lot of good coaches, um, throughout my career, coaches that I really respect that I know can coach the game that have had success places that start hopping, you know, jumping the ladder. And again, there’s nothing wrong with moving up and taking a bigger job and a bigger paycheck, I certainly am not condemning that in any way, but I see coaches that are making moves based on those things and they end up in situations where they can’t be either A. happy, or B. successful. And, all the sudden, now they’re, it doesn’t work out there and now they’re having to coach in places they don’t want to be in situations they don’t want to be in, and I just feel like I’ve been blessed to never have to make that decision and to continue to be in a place that I love. Chris McGown: That’s awesome. Well, hey, I know you’ve got a lot going on, you’ve probably got kids coming into the office pretty soon. I just, I wanted to tell you thanks again. Like I said, I’ve been really looking forward to our conversation and I’m hoping that we get to run into each other a little bit more in the years to come here. Good luck in the Spring, and hopefully you guys get it going again next season. I’m sure you will. Travis Hudson: Well I appreciate it, Chris. This has been, this has been a lot of fun. I agree, I look forward to connecting with you more moving forward, and hopefully getting to kind of bounce things off each other. It’s been a pleasure, I really appreciate it. Chris McGown: Okay. I’ll talk to you soon. Like I said, have a good one. Travis Hudson: All right, thanks. If you want more podcasts, videos, articles, and other volleyball instructional resources, you can find us at goldmedalsquared.com, on our YouTube channel, on Facebook, Instagram, and on Twitter. Follow us on Facebook, Instagram, and Twitter for the latest interviews, news, and other promotions. Thanks for listening, and we hope to meet you in person at one of our camps or clinics.